Naked Festival ver.2.0 (Language: English)! In Japan, there’s a unique naughty game called yakyu-ken. Its literal translation doesn’t mean anything, and the circle would describe it as Naked Festival. Please enjoy this simple Rock-Paper-Scissors stripping game. You are to play the game against a selected girl. When you win, the opponent takes off her outfit one by one. You are the winner when you succeed in making her naked. 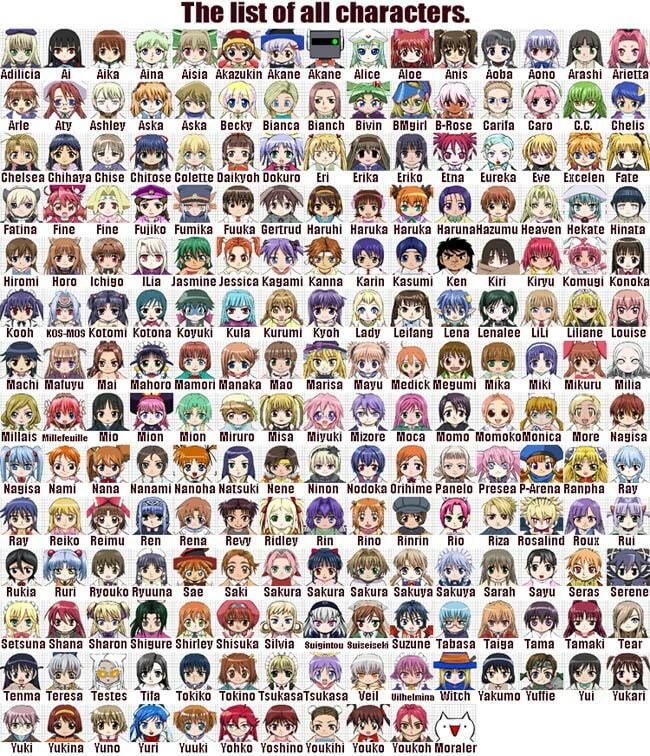 The total number of girls are over 200! 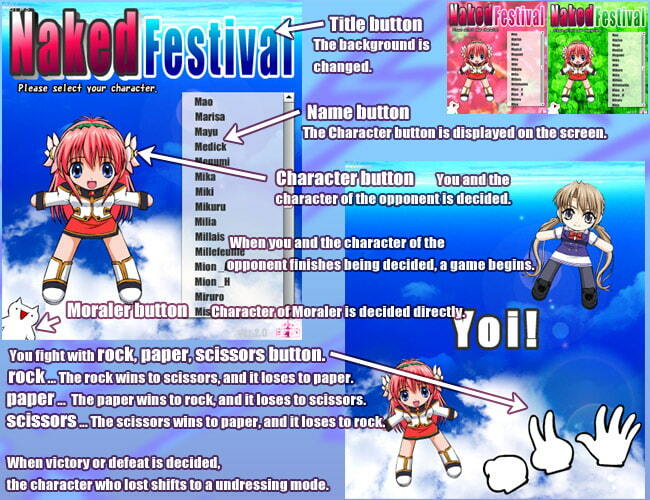 After the match, you can change clothes of the defeated girl. How to play: After extracting the downloaded file, start from either start.html or nakedFestival.exe in the folder. For mac users, please start from mac in MAC_nakedFestival folder. * About this game User support is available only for DLsite.com members. The circle will not release the sequel until the number of characters surpasses 400.